New OxygenOS Open Beta For OnePlus 5/5T Brings Earphone Mode, April Security Patch & More - AndroGuider | One Stop For The Techy You! 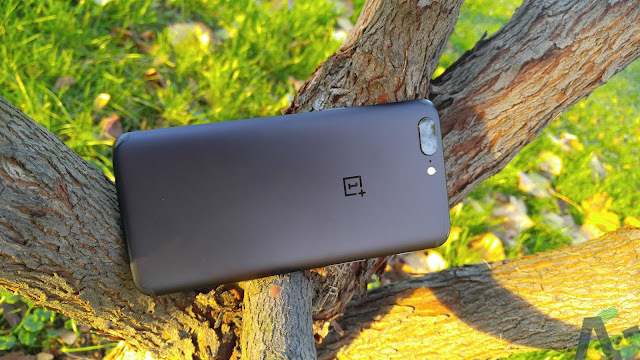 Earlier today OnePlus posted new OxygenOS Open Beta builds for the OnePlus 3 and 3T, and now the company has released beta builds for its yesteryear smartphones - the 5 and 5T. The new OxygenOS Open Beta build includes the security patch of April, UI changes to the inbuilt clock application, earphone mode, and card package. The earphone mode will allow the user to resume/pause music when the earphones are connected/disconnected. Other options in the earphone mode include customization for the notification behavior, and broadcast caller information which will speak out the caller details. In addition to the earphone mode, this Open Beta build allows the user to choose the volume level that can be changed using the volume keys. By default the volume buttons change the ring volume, but users can set this to change the media volume or alarm volume. 'Card package' will allow users to scan subscription and membership cards with QR codes or bar code and add them to 'shelf'. Shelf is the quick access screen in the OnePlus launcher which allows users to add custom widgets and arrange them in a vertical order. Shelf can be accessed by swiping to the right from the first home screen in the OnePlus launcher. If you are using a previous Open Beta build, you would be getting an update notification for this build. If you are currently using the stable version of OxygenOS and would like to try out the beta builds, you can do so by following the instructions linked in the source. It's worth noting here that once you have moved over to the beta program, you would not receive the stable updates. OxygenOS beta users only get updates to new beta builds. Moving back to the stable path would require a wipe of the data partition which will erase all the contacts, messages, apps and their data.